Aperol it is the perfect aperitif that evokes the sociable Italian 'aperitivo' lifestyle, from pre-dinner conversation to an evening with friends and family. It is best enjoyed in its signature serve, the Aperol Spritz, the traditional Italian Aperitivo and the perfect drink to start the evening. Its light, refreshing bitter-sweet taste has been starting conversations since 1919. 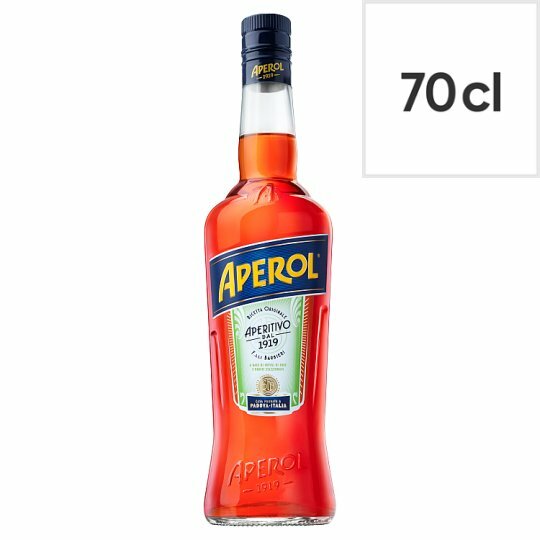 Lightly alcoholic, Aperol is a magical infusion of bitter and sweet orange, mix of herbs and roots. To make the perfect Aperol Spritz, fill a large wine glass with ice, combine Prosecco followed by Aperol in equal parts, add a splash of soda water and garnish with an orange slice.